Sift together cake flour, granulated sugar, baking powder, and salt. Stir in almond, egg, buttermilk, and melted butter until just mixed (do not overmix). Spoon or pipe the doughnut batter into a greased doughnut pan. Bake at 425 degrees for 4-5 minutes (watch carefully to not overbake). Let sit to cool before popping out. 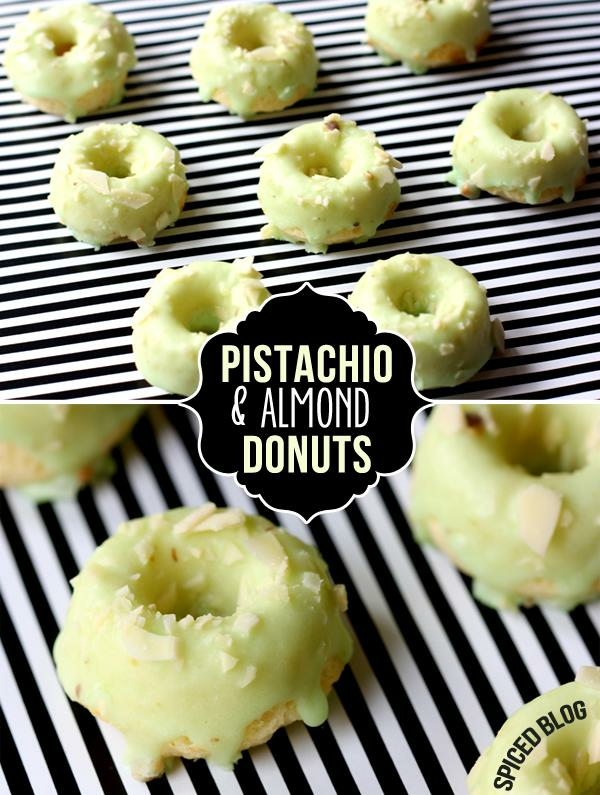 In a small mixing bowl, combine confectioner's sugar, pistachio pudding powder, and milk. Stir until a glaze forms. 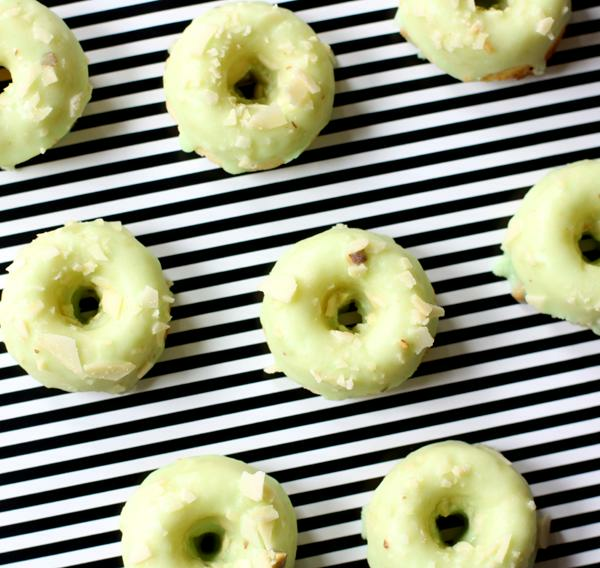 Dip donuts in glaze and top with chopped and toasted almonds.